Orchid Digitals helps capture your memories on canvas. 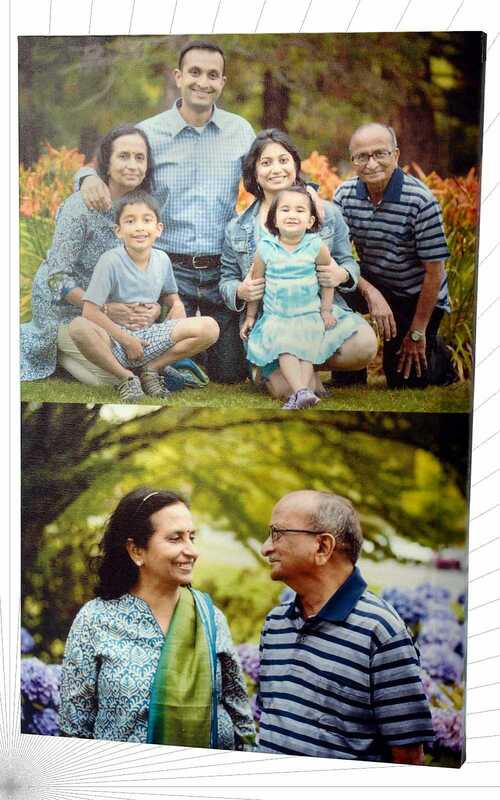 All of us have those amazing family pictures or vacation shots on our phone. But that’s where they mostly remain. We might share them on social media forums a couple of times, but mostly they are forgotten and never seen again. So give those pixels a physical form. Decorate your house or office with our high resolution photo prints on canvas. 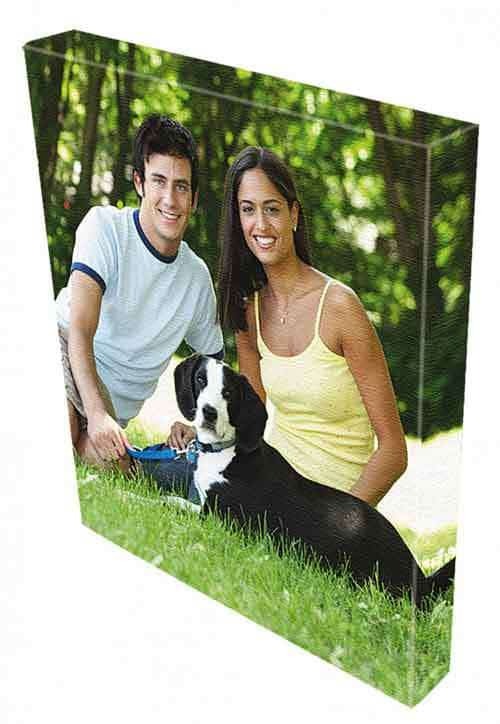 High resolution canvas printing is a premium service offered by Orchid Digitals, Pune. We use rolls of natural cotton canvas to print on. While photo prints on vinyl do look good, photo prints on canvas look simply gorgeous. 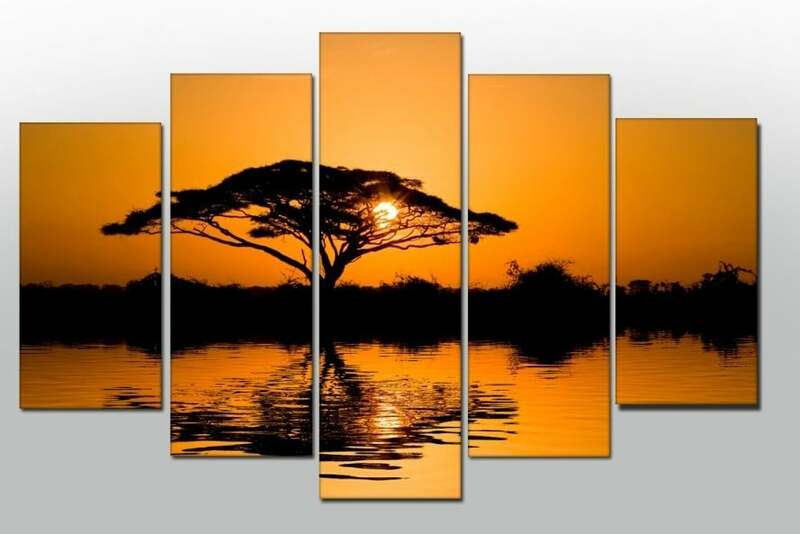 Custom canvas prints are used to reproduce fine art and paintings. Let’s assume for a moment, that you are a master artist. You have held an exhibition and your masterpieces sell for lakhs of rupees. While the moneyed connoisseur can afford to buy your costly originals, other art lovers will demand reproductions of the same. Further, these painting reproductions need to be tagged with a more affordable price. So artists scan the original and have the same digitally printed on canvas. The copy still has that authentic, textured, look and feel of an original. 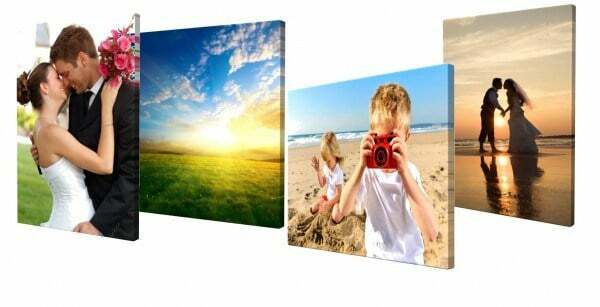 Photo printing on canvas is a fast selling product at our print shop. Wedding photos, family portraits, vacation pics, etc. can all be reproduced on large sized canvas frames. People typically dress up and pose in wedding photos and studio shoots. While spur of the moment selfies may not always show you at your best, planned photo shoots always bring out you true beauty. These high resolution images are ideal for printers to create stunning canvas photo prints. Inkjet printed canvas frames are also ideal to liven up your home and office walls. Interior decorators and the suave home makers routinely use large canvas prints of digital paintings created by modern artists. The old masters’ paintings will off course, never go out of style. Art school students have another, lesser known application for canvas prints. They order half finished ‘bare bones’ prints. For example, a student might source a print showing the outlines of horses running in a field. They then use their own paints, oils, charcoal, etc., to finish the painting. 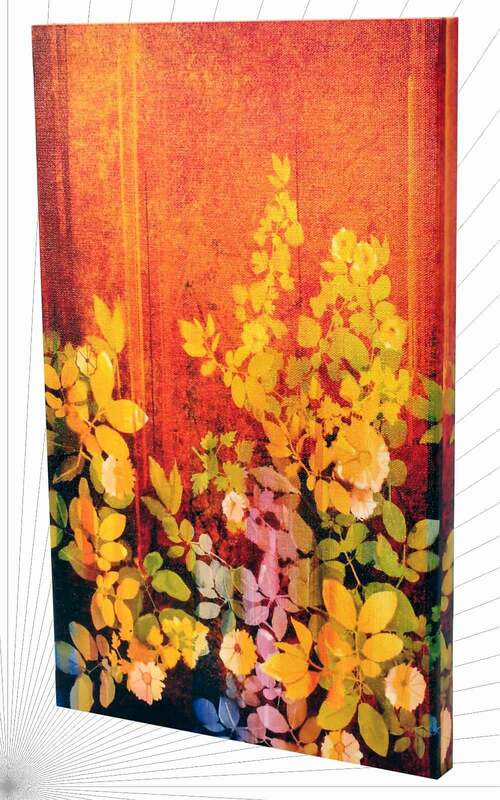 Essentially, this half printed canvas acts as a foundation for greater, naturally painted creations. This off course is only possible because the media we use is made of natural artists’ paintable cotton. Ready to buy Canvas Prints? 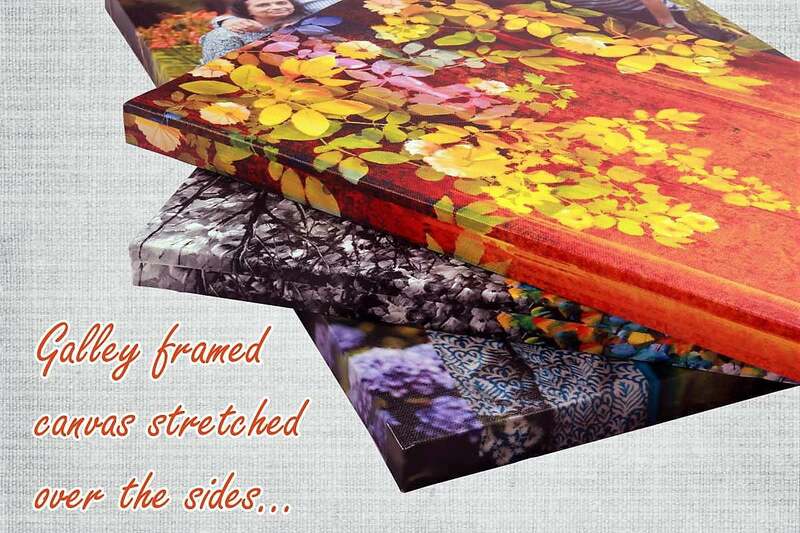 Tell us a little about your canvas printing requirements by filling in the form below. And we’ll get back to you with an estimate of the price for the same. At Orchid, we use our high resolution, wide format, Mimaki and Roland eco solvent photo printers. These print machines can reproduce images at amazingly high resolutions. It goes without saying that the machines’ output will only be as good as the original input file. 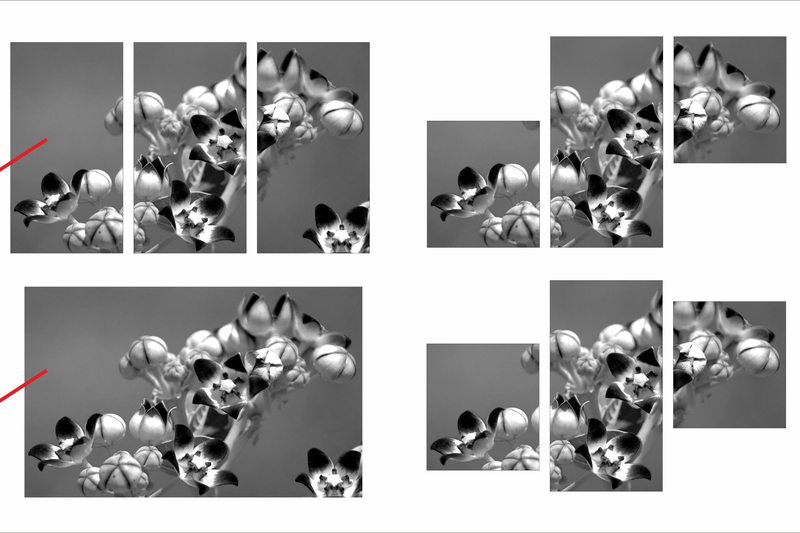 So make sure that you bring in your images / photo collages at the highest possible resolutions. Customers often wonder about the durability of our prints. The eco solvent inks we use, are impervious to rain and sunlight. Leave them out in the open or dunk them in a bucket of water and they still won’t get damaged. Thus, our prints are extremely strong and long lasting. We have printable rolls of cotton canvas in widths of 3, 4 and 5 feet. So you can print out pretty large sized images. 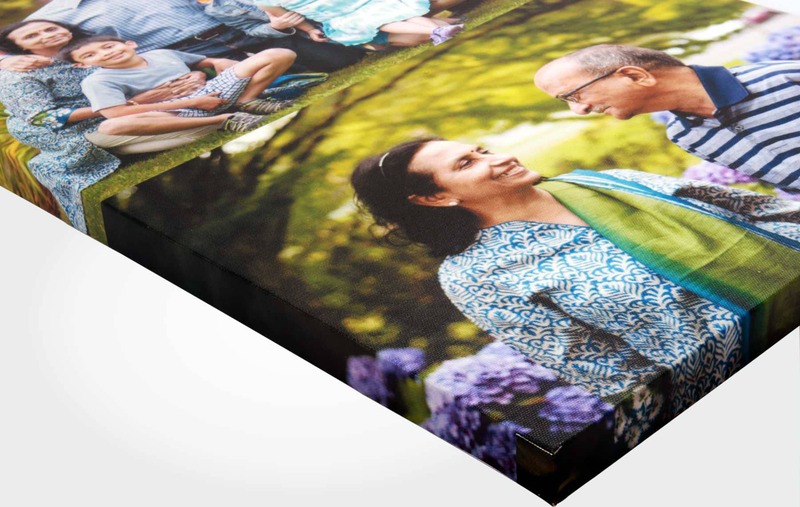 While the standard sizes of canvas prints are 2 X 3 or 3 X 4 feet, a wide format print of 5 X 10 is not unheard of. At Orchid, we offer two options to our customers. You can print the image on a loose roll of canvas and get it framed yourself. Alternatively, we can offer you a more finished product, wherein we stretch the print on a frame. The outer edges of the image are wrapped on the sides of the frame. Edge wrapped prints are also referred to as galley framing and they look pretty stunning. Just the print 150/- per sq. ft.
Canvas print + galley framing 220/- per sq. ft.